Chocolate Avocado Pudding is the healthier chocolate pudding you never knew you would love! 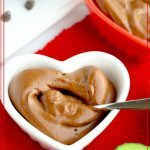 Make this easy chocolate pudding in the Vitamix for a tasty chocolate Valentine’s dessert! You’ll find yourself returning to this healthy dessert all year long! Please note that this is a sponsored post. I developed this recipe in partnership with #Sprouts; ingredients were purchased at my local Sprouts store. I was compensated for my participation and all opinions are my own. Avocado and chocolate. How does that combination make you feel? At first I was uncertain– I mean no one wants chocolate guacamole, right? — but I am a complete convert to LOVING this idea of adding heart healthy ingredient to a dessert. Avocados are a heart healthy food. Did you know that they are one of the few fruits that contain healthy monounsaturated fats that have been shown be beneficial in maintaining healthy levels of cholesterol in your body? Why not make your family these healthier chocolate puddings for Valentine’s Day? What ingredients are in chocolate avocado pudding? All of my ingredients are purchased from Sprouts Farmers Market. Their prices are great and I trust their quality. 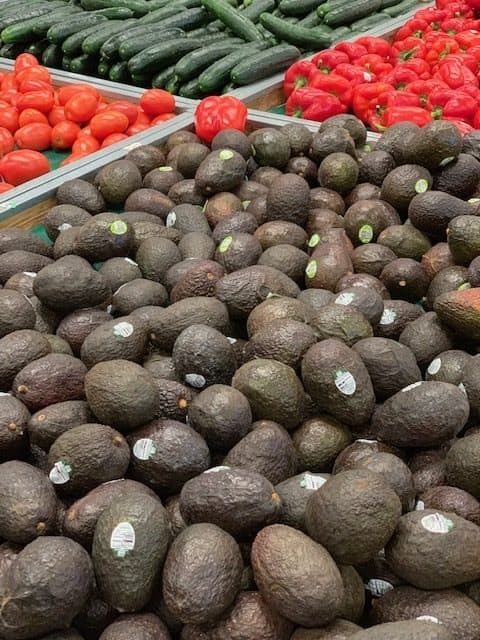 Look at how inviting this display of avocados is at my local store! When you are making a recipe that only has a few main ingredients, it is so important to use the best quality ingredients. Fresh avocados go a long way in this recipe! 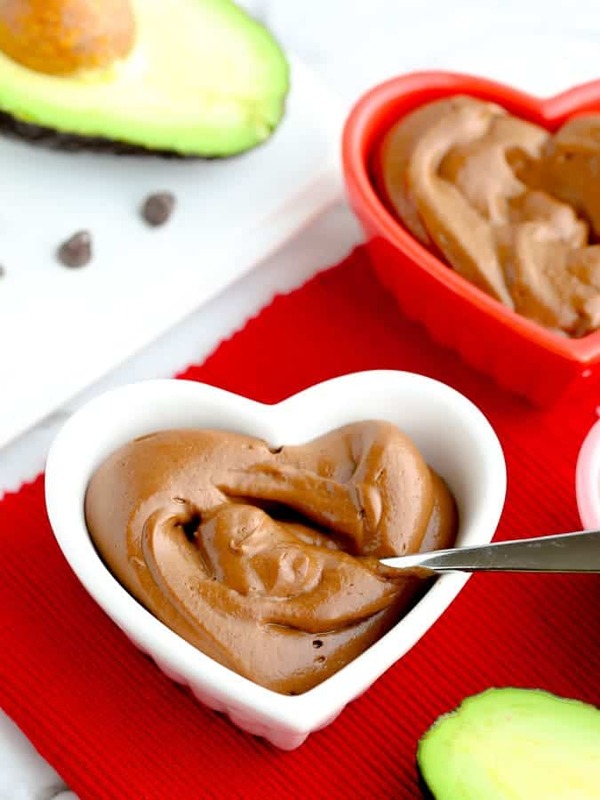 How do you make this healthy avocado chocolate pudding recipe? Melt the chocolate chips with the almond milk in the microwave. Add all the ingredients to the Vitamix and blend. Cool in the refrigerator for 20 minutes then serve. The process of making this healthy chocolate pudding really is that simple. You’ll melt the chocolate chips with the almond milk in the microwave. I experimented with skipping this step and simply adding the chips to the blender, but the texture of the finished pudding is much smoother if you take a minute to use the microwave first. The creamy texture of this dessert comes from the avocados and is boosted by the almond butter. I know, I know. First I asked you to consider avocado and chocolate…and now I am throwing almond butter in the mix too? Stay with me! 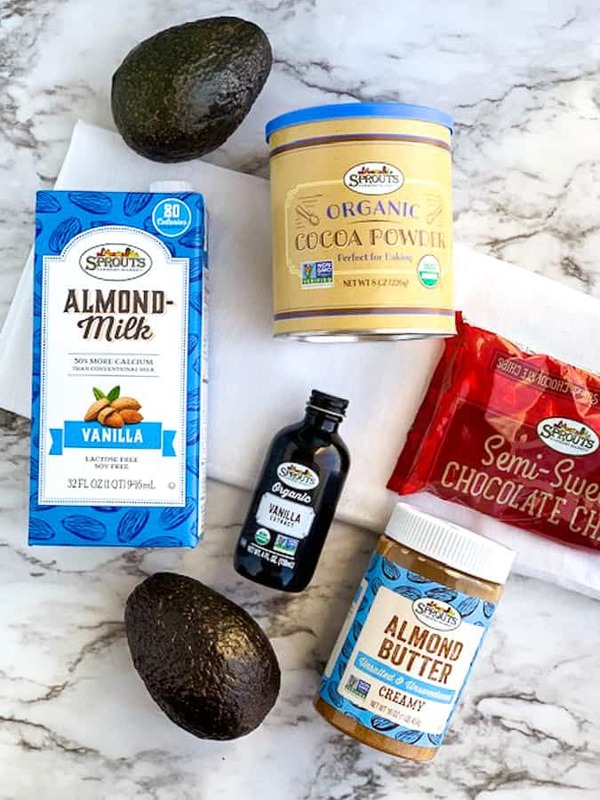 You honestly don’t taste the avocado in the pudding and the almond butter is a background flavor that pairs beautifully with chocolate. 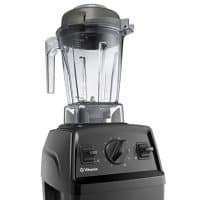 When you use a high speed blender like a Vitamix, you’ll see that the pudding heats up and has steam coming from it. A quick 20 minutes in the refrigerator will cool the chocolate pudding. How do I store chocolate avocado pudding? You’ll want to store this pudding covered in plastic wrap in the refrigerator. Gently push the plastic wrap right up against the pudding to let as little air as possible near the dessert. This version of pudding is best the day you make it– eating it within the hour is ideal– but you will still enjoy it a day later too. The avocado taste becomes a bit more pronounced after a day, and you’ll need to give the pudding a quick stir before serving. Can I make a healthy chocolate pudding pie? Sure! Using this pudding recipe for a pie is a great idea! Here are recipe instructions you can follow along to create an impressive pudding pie with this avocado pudding. Chocolate Avocado Pudding is the healthier chocolate pudding you never knew you would love! 1. Combine the Almond-milk and the chocolate chips in a glass bowl. Microwave for 30 seconds to melt the chips. Stir, then repeat in 30 second increments until the chocolate is melted. 2. Stir in the cocoa powder and vanilla. Pour the mixture into a Vitamix or other high speed blender. 3. 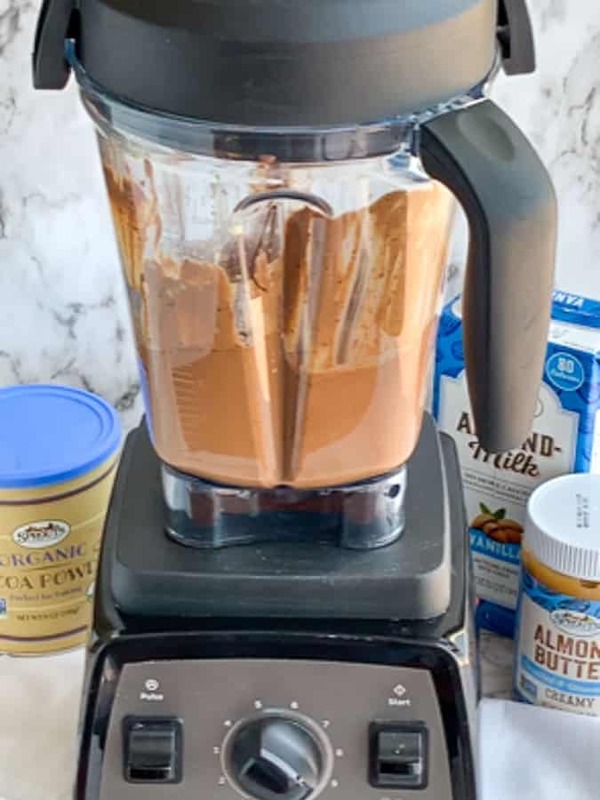 Add the almond butter into the blender. 4. Slice the avocados in half, remove the pits and add to the blender. 5. Blend on high for 1 minute. The pudding will be warm. 6. Refrigerate for 20 minutes to cool the pudding then serve. This pudding is best served within an hour after being made, but you may refrigerate it for a few hours or overnight needed. Pin this healthy dessert idea! Here are other recipes made with ingredients from Sprouts! I’m so curious how this tastes! 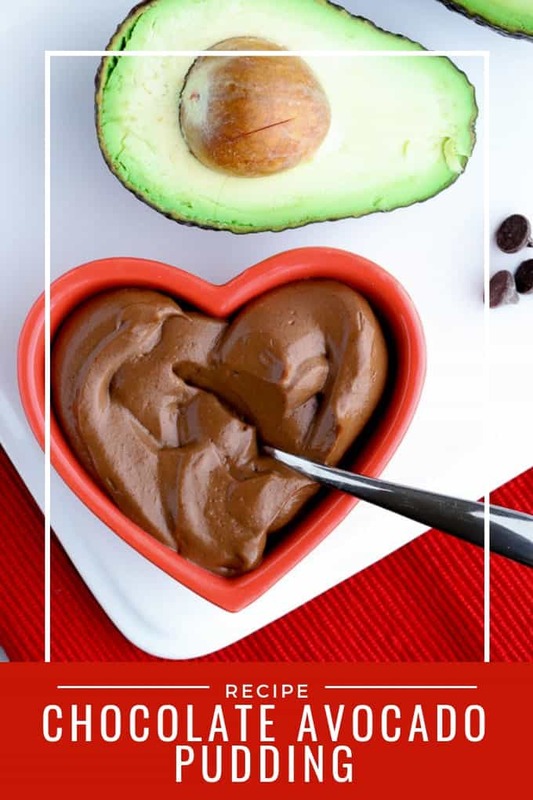 Next time I’m close to a sprouts I’m buying these ingredients and making this chocolate avocado pudding! You said it perfectly– I was curious too! Avocados are great in smoothies but I hadn’t thought of them as a dessert ingredient…until now! They lend a creaminess to the pudding and the flavor is just in the background. yum yum yum! this avocado pudding is so incredibly amazing! rich, creamy and so divine! Oh I am so glad you like it! I love avocado and I love chocolate so how could you go wrong with this?? This is one of my favorite pudding recipes. The avocado makes it so luscious and creamy. Perfect dessert too! I can’t believe I waited so long to make this type of pudding. Really tasty! I love this! So rich and dreamy! I love how avocado can do so many things! This pudding is SO good! I love dipping in fruit! What a good idea! Dipping strawberries would be really tasty. I’m definitely trying this! I love how smooth and creamy this looks! I have always wanted to try this but honestly just couldn’t jump in. I trust you Holly! 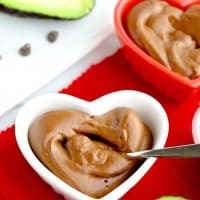 LOVE chocolate avocado pudding! And love that it’s on the healthier side too, so that means I get to eat a little extra 😉 Those dishes are adorable btw! 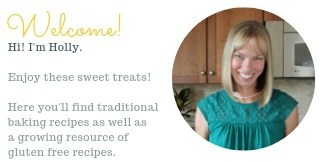 Yes, I love making desserts in the Vitamix– quick and easy! So glad you like the idea of this pudding– it never hurts to add a healthy spin on chocolate dessert.